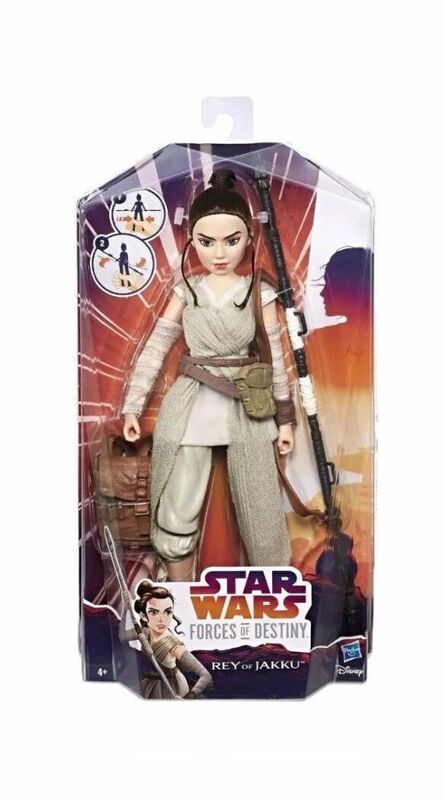 Rey is brave, true to her friends, and stands up for what she believes in! 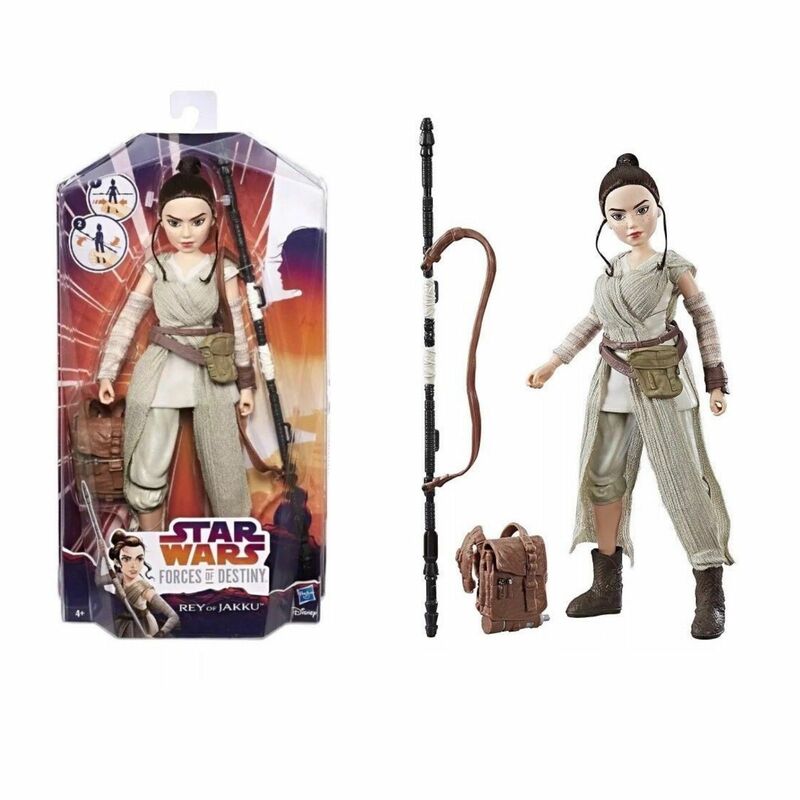 Imagine epic adventures to discover her destiny and her connection to the Force with this Star Wars Forces of Destiny Rey of Jakku adventure figure. 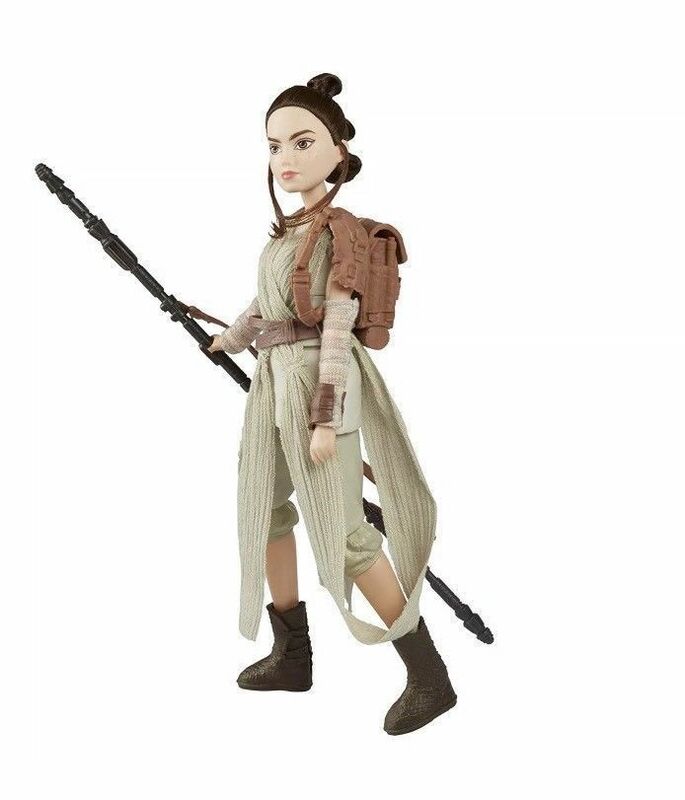 This highly-poseable figure features beautiful rooted hair, and a draped top, shirt, belt with scavenger bag, shoes, arm wraps, bracelet, and backpack she can be dressed in to get her ready for adventure. 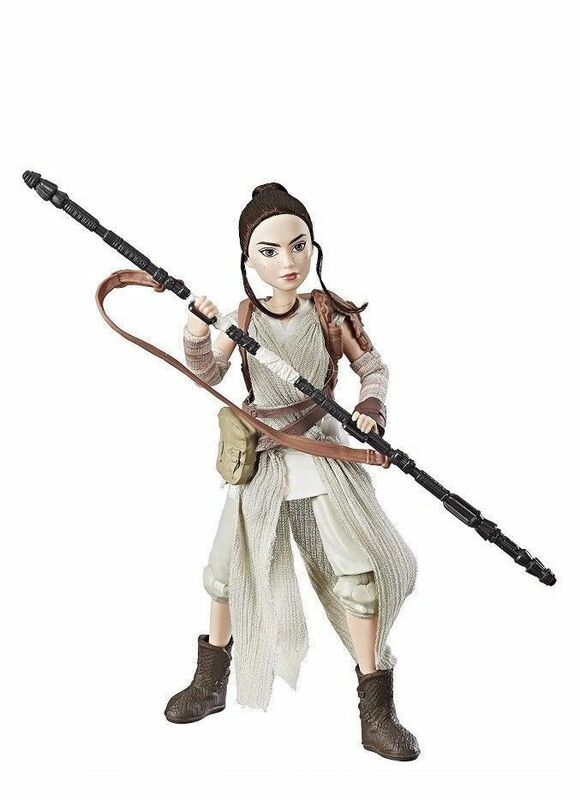 When it's time for action, place her staff in her hand and squeeze her legs together to see strike! Re-create the battles and stories of Star Wars with this true-to-entertainment figure. 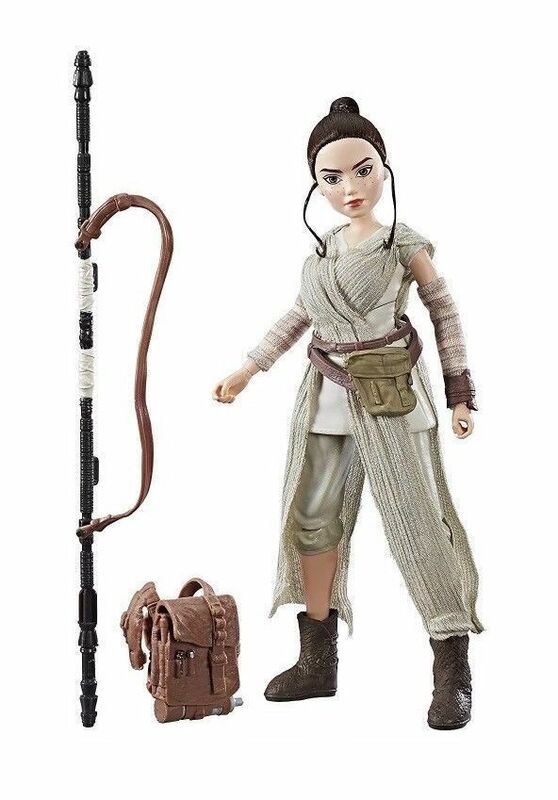 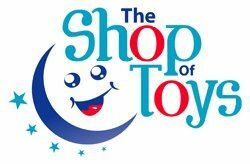 • Includes: Adventure figure, staff, belt with bag, shirt, draped top, pair of shoes, 2 arm wraps, bracelet, and backpack.